2017 Back to school supply drive. Tens of thousands of free lesson plans and classroom activities. 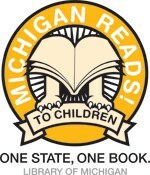 Find lesson and curriculum aids searchable by subject or state standard brought to you by a component on the Michigan eLibrary. Now available from the Michigan Secretary of State Office: "It's time to vote" text and email reminders. Just follow the red email box and follow the directions.